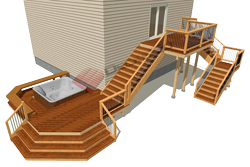 Despite the huge popularity of hidden wood deck fasteners, good old top down deck screws are still a big player in the screws and fasteners category. 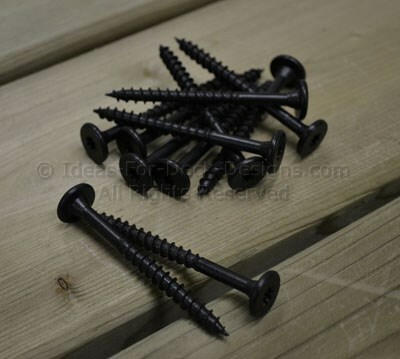 There has been such growth in advancements in trying to attach deck boards using side or edge mounted fasteners that it's easy to forget the the good old trusted wood screw. 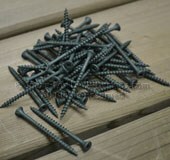 So I am going to help you quickly compare the main types of screws you can pick from and the features or benefits of each. 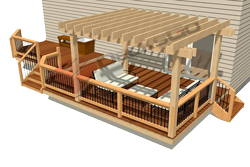 Which kind you prefer will depend on your budget, appearance, material, and installation method. 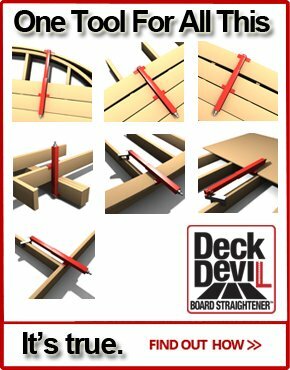 The classic fastener for attaching a deck board down. Far better than a nail. Less likely to leave a "kiss" mark in the board from hammering too hard. Great holding power and durable enough to use in even the most corrosive pressure treated lumber today. These are the same screws shown above. You know them well. Your most affordable option other than nails. But you have to drive them in with a screw gun so be sure to set the torque right so you don't drive them too deep into the boards. 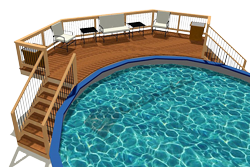 If you sink them too deep water can collect in the hole and rot those boards faster. Stainless fasteners are also available in this style. They are more expensive but they are the ultimate in terms of longevity to the elements. If your budget can cover them, consider them. Over the years of developing composite boards, the manufacturers observed that the material was very dense and required an very hard torque resistant screw. In addition, users noticed that regular bugle headed flat screws caused the material to mushroom around the head. This looked awful. And so began the evolution of the perfecting of composite screw fasteners. 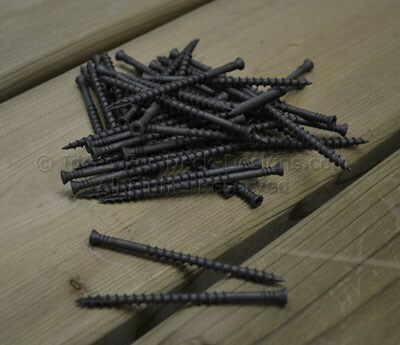 To address the hardness of the board, the screws were harded and the root diameter reduced. Then to eliminate mushrooming a reverse or knurled threaded zone was added just below the head. This seems to have done the trick. Mushrooming and snapped screws are virtually unheard of today. 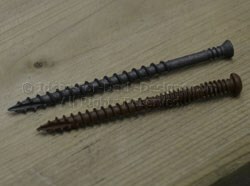 Take a close look at the differences and compare these two composite screws. Both have a Type 17 cutting tip, coarse threads but the differences are in the upper threads just under the head. The fine threads which can be reversed or just very shallow are intended to push down any material that was raised up as the main part of the screw descened into the board. Which is more effective? 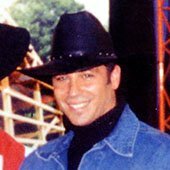 You would have to try yourself. 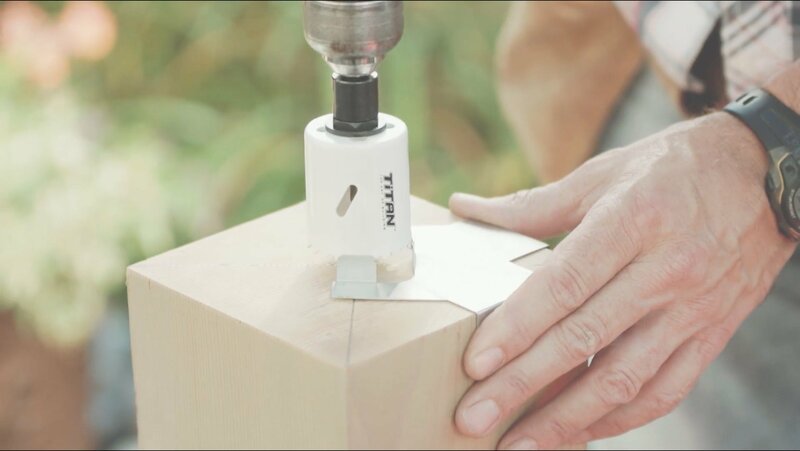 Each manufacturer has relied on their own testing and R&D to come up with these ideas. 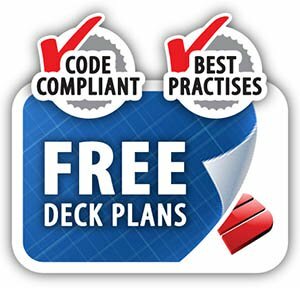 But the common deck builder - you - is the one who benefits. 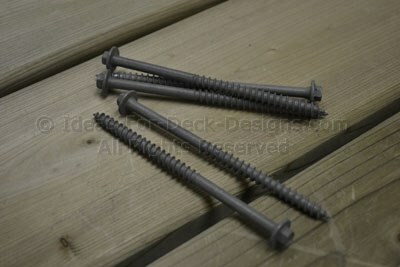 Beautifully designed, these super hard, super coarse lag screw fasteners have a flat head and usually a star head drive. So they never slip or snap off. Different manufacturers use different coatings. Some are a black zinc nickel and others are a ceramic finish or Dacromet. 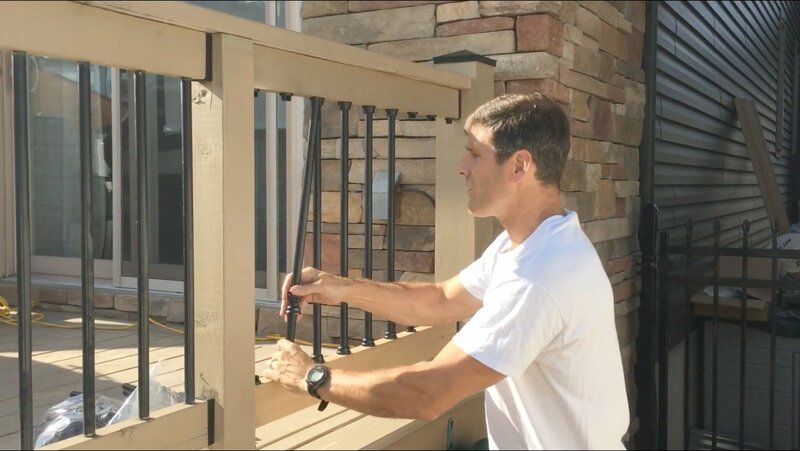 Whatever the finish they are great fastener for structural framing like securing beams to posts or anything where excellent shear resistance is needed. This little piece of stainless steel is specially designed to be hidden nicely between a very tight 3/32" gap between hardwood boards. 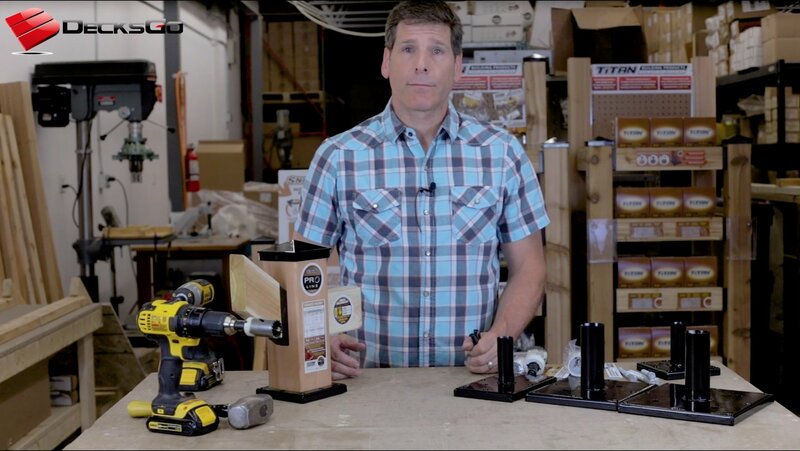 Arguably the toughest darn screw for structural fastening in the world. 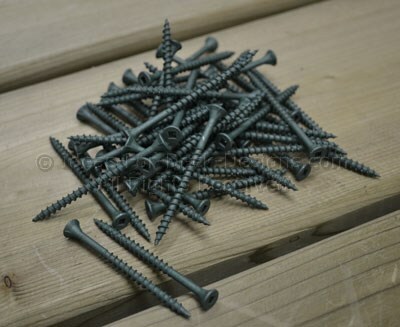 These are screws I use and they are from GRK. It's amazing how much engineering goes into developing screw fasteners like these. But the tips are great for cutting. The threads are razor sharp and the knurled shoulder threads ease the entry of the upper part of the screw. You will notice the flat washer type head. This gives you more compression and holding power which is needed in softer woods that compress more easily. 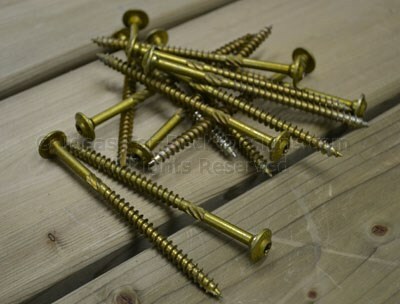 These fasteners are also highly evolved for their purpose and generally that is to bind ledger boards to rim joists. 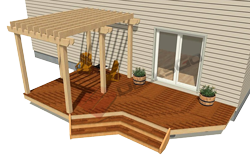 They are hardened coated and designed to cut into even hard woods without splitting. But I might still try a pilot hole with the really hard woods. The hex head is a necessity for maintaining the driving force as the screw drives into the really tough materials. These are screws I use and they are from FastenMaster - a great company that is on the forefront of design and manufacturing. 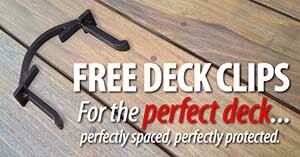 What Wood Deck Fasteners Will You Choose? As you can see, top down screw fasteners never went away. They just got a lot better. After you compare, you can see there is a lot to choose from. 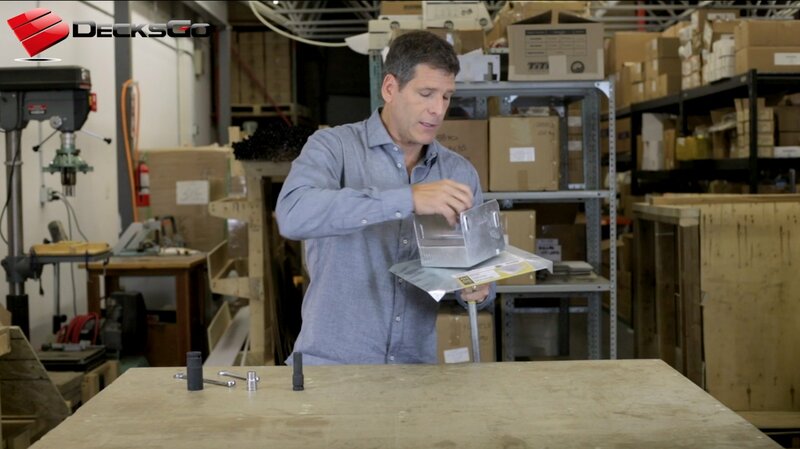 But if you know your job, you can easily determine the right fastener for your needs.